In 1966, a small group in Suffolk and Nansemond County was interested in learning about the history of the area and also in preserving the old buildings and artifacts still remaining from the past. Realizing that they had these concerns in common and that others might share them, they organized the Suffolk-Nansemond Historical Society. This small group has grown into a membership of over six hundred and the Society has become an advocate for the community at large by bringing attention to people and places that are in danger of being forgotten or lost. To spotlight these important issues, the Society sponsors a Candlelight Tour each December, offering the public an opportunity to see inside charming old homes, churches and other architecturally significant buildings. At two general meetings a year, lectures and slide presentations are presented with speakers who are well-known in their respective fields. Newsletters, bus trips, walking tours and dinner meetings are part of the Society's agenda. A number of informative booklets have been published and can be purchased at the Riddick's Folly Gift Shop and at the newly restored Seaboard Passenger Station on Main Street. The Society has also leased space in the old Nansemond County Courthouse, where a museum and archives will be created for everyone to enjoy. There you will be able to find many different collections and materials that have been donated and stored over the years. The Society is a tax-exempt, non-profit organization. Funding is derived from membership dues, donations, grants, publication sales, and a variety of fundraising events. The Suffolk-Nansemond Historical Society property company, Presevation of Historic Suffolk, Inc., has bought and sold two houses and currently owns the Seaboard Train Station and the property known as College Court. The Train Station restoration was completed in 2000 and the College Court property is currently being marketed for sale. The Train Station will house a permanent railroad model and museum and there are plans for a tourist center and gift shop. In July of 1834, a red letter event occurred in the cities of Portsmouth and Suffolk. On that exciting day, the first train ran from Portsmouth to Suffolk and back. This was the first leg of the line that was planned to run to Weldon on the Roanoke River. For the first two months, horses pulled the train. By September of that year, a locomotive was in use. 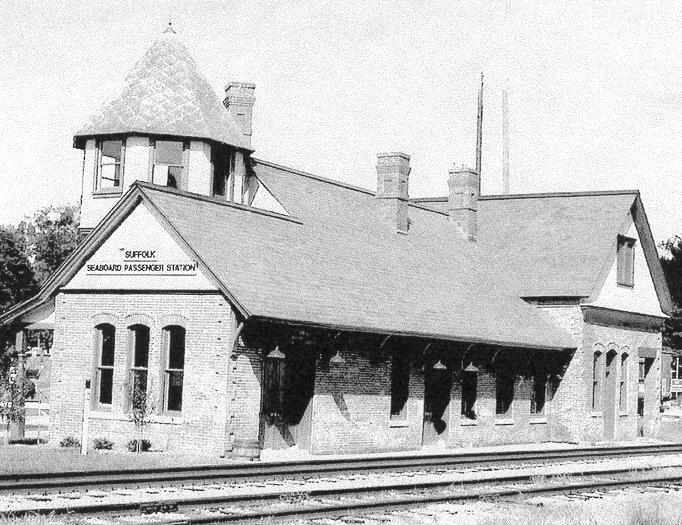 The line soon became part of the Seaboard Railroad, which, in 1885, built a handsome new depot replacing the original. That depot was used for passengers on the Seaboard line until 1968. For part of that time, the Virginian Railway used it as a passenger depot as well. It was used as a freight office into the 1980's and was abandoned by the railroad in 1990. In 1994, a fire apparently started by a vagrant, very nearly destroyed the building. Right away, the Suffolk-Nansemond Historical Society stepped forward to save the building for demolition. The Society purchased the depot from CSX Transportation and began fund raising. The effort took six years. 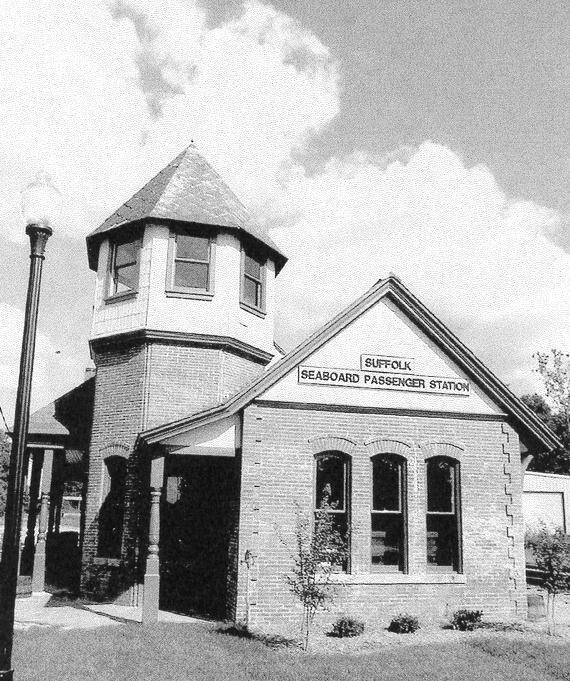 With federal ISTEA money administered by the Virginia Department of Transportation, with support from the City of Suffolk, and with contributions from many interested citizens, the restored depot reopened in August of 2000. You are invited to visit the depot on Saturdays and Sundays.